For ōðrum brȳcum, sēo Īsland (scīrung). Sēo Cyneƿīse Īslandes is īegþēod in þǣm norðernan Atlantiscan Gārsecge, geseted betƿēonan Grēnelande and Scotlande, be þǣm Faroiscum Īegum norþƿestan. Ambihtlicu sprǣc Nān. Īslendisc de facto. Īsland ƿearþ first gesetled fram Scedelandsǣtum, mǣst fram Norþƿegmannum, and Celtiscum (Scottiscum and Īriscum) immigrants during the late 9th and 10th century. 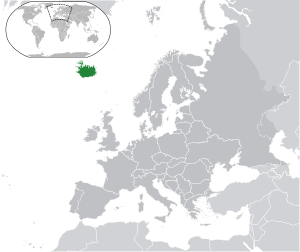 It boasts the world's longest running parliament, Alþingi (Alþingi), þe ƿæs gestaðelod in 930. Ambihtlic geat tō Īslande and þǣre Īslendiscan Elþegnunge. Ōðer Ambihtlic Geat tō Īslande. Man nīwanost wende þisne tramet on þǣre 08:45 tīde þæs 19 Solmōnaþ 2019.